The hotel is situated in St.St. 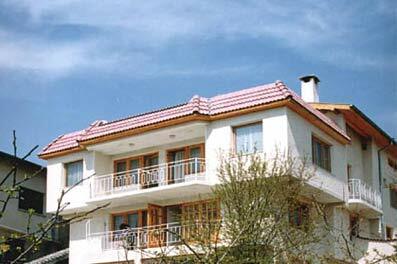 Constantine & Helena resort, 10 km from Varna centre , 8 km from Golden Sands. Stayed at Viliren on September 17th/18th and 29th/30th and wish we could have stayed longer as excellent,friendly,homely hotel where nothing was too much trouble for Vili and Reni.The food was great and plentiful,the service was also excellent,plenty of drinks always available! !Many thanks to Vili and Reni for making our stay in Bulgaria so pleasant and also thanks for the trips from and to the airport and the outing to St.Konstantin.Will be back most definitely. I'd like to spend for a week with my family at your place from july 05 to july 12. Write me can i book a apartrment and how much does it cost for two adults and two children under 12 old years.Write about location of house. We would like to thank Reni and Vili for a fantastic holiday .. vacances superbes .. nous serons de retour !! excellent value for money.family atmosphere and service second to none.vili and reni cant do enough for you.will definately stay there again.